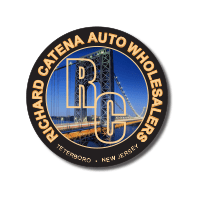 If you want a great deal on your next ride, browse the used cars for sale near Teterboro! Whether you’re in the market for an affordable sedan or a trusty SUV, you’ll find the used car for sale that works for both you and your budget — from luxury brands like Mercedes-Benz, BMW, Lexus, MINI, and more. We even have used luxury convertible options! There may be a variety of used car dealerships in the area, but we help you through every step of the car-buying process thanks to streamlined financing services. If you have any further questions, please don’t hesitate to contact us. And when you’re ready, make your way to Richard Catena Auto to explore our current used car inventory and take your favorite model for a test drive – we’re ready to be your used car dealer! 2012 Aston Martin DBS Volante in Lightning Silver with All Obsidian Black Leather. Original MSRP $302,056. Vehicle equipped with High Spec Alarm, Secondary Glass ECU, Satellite Radio, and 10-spoke Diamond Turned Silver Wheels. Learn more about our luxury SUV models by comparing the 2018 BMW X1 vs the 2018 Lexus NX at Richard Catena Auto!